I’ll be the first to admit that the fact that I’d never seen Richard Donner’s Superman is a pretty big miss for a guy who spends a good portion of his time on this site writing about old superhero movies. That it’s taken me so see one of the first significant capes on camera– the superhero blockbuster that, along with some 80s Tim Burton movie, serves as the foundation for the genre– seems even more glaring given the fact that I managed to pencil in a viewing of Fantastic Four before getting to Supes. Priorities, people. Released just as tentpole blockbusters were overtaking New Hollywood in the wake of Star Wars, Superman feels very much like a movie taking strides into new territory; sometimes with confident strides, sometimes with uncomfortable stumbles. What struck me more than anything was how Superman feels like a movie that was made for everyone. While the box office numbers for modern superhero blockbuster suggest a massive audience, they are films that feel aimed at an adolescent male audience above all else. Superman, instead tries to cover all the bases: a portentous origin story for the comic book faithful (the many, many mispronunciations of Krypton be damned), the tender moments between Superman (Christopher Reeve, billed third in his own movie) and Lois Lane (Margot Kidder) aimed at an audience of women, the Batman ’66-style hijinks of Lex Luthor (Gene Hackman) and his henchpersons (Ned Beatty and Valerie Perrine) in his baller train station headquarters for the kids, and the big blue boy scout’s thrilling acts of derring-do for everyone. The result is a superhero movie that’s thrilling at its best, and lumbering awkward at its worst. 2 1/2 hours is pretty standard length for epic-size superhero movies nowadays, but Superman feels like it could have benefitted from some tighter editing. 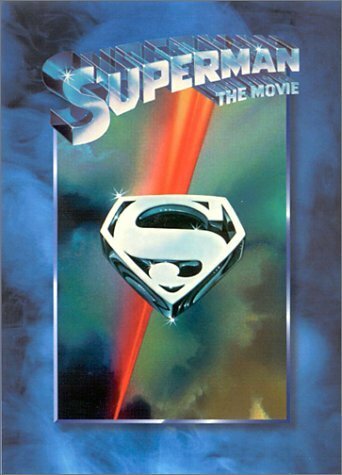 Beginning with the death of Krypton and Jor-El’s (Marlon Brando, killing it in spite of reading all of his lines off of cue cards) rocketing of baby Superman to Earth, it’s a solid 40 minutes before we get to an adult Clark Kent in Metropolis. In an era where adherence to source material was a secondary concern, it’s an earnestly felt retelling of Superman’s origin. The film length isn’t felt in these scenes, but rather, in the scenes where the film makes its grab for audiences outside the typical comic movie crowd. Lois and Superman’s romance feels charming until it feels excessive. I can’t speak for audiences in 1978, but I cannot imagine a time wherein “Can You Read My Mind?”, mid-flight Lois’s spoken word piece/ inner monologue/ cringe factory was not deeply uncomfortable to sit through. Similarly, the scenes between Lex Luthor and his crew feel like filler rather than committed camp. Hackman’s Luthor is magnetically watchable, but having him interact with Ned Beatty’s bumbling minion and Perrine’s icy moll until late in the game feels like wasted potential. As such, the middle of Superman meanders through scenes that feel tonally incompatible and ultimately distract from the real attraction: the Man of Tomorrow himself. Christopher Reeve is Superman. It’s been said before, but I don’t think I truly appreciated that statement until now. Debate rages over the best portrayal of Batman (it’s Kevin Conroy, guys), but after watching Superman, it’s clear Reeve was perfect for the role. 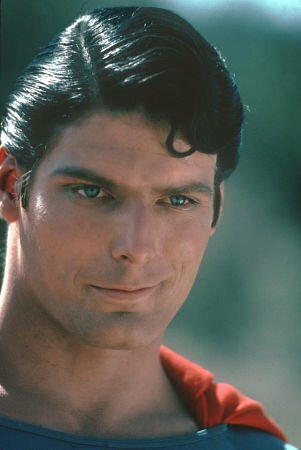 Superhumanly charming both as his calm and assured Superman and as his comically nebbish Clark Kent, Reeve embodies the things people best love about the character. The common refrain is that with so many powers, it’s tough to make Superman interesting; but the best parts of the film by far are the ones in which Superman just acts like Superman. A montage of foiling crimes and helping others (cats get rescued from trees) demonstrates everything that makes the performance great. Reeve demonstrates what so often gets lost in the Superman conversation: the laundry list of superpowers aren’t what make the character special, but the character’s genuine warmth and care that drives him to use those powers to benefit everyone. Just. So. Charming.Years before the cape genre became a desired hire for top movie talent, Superman feels packed with seasoned actors. In addition to its top billed stars, Superman sees some great performances in small roles from industry vets. Glenn Ford brings the same world-worn understanding he brought to The Big Heat, and Jackie Cooper’s no-nonsense editor Perry White helps bring a His Girl Friday screwball comedy air to the Daily Planet with the aid of Kidder and Marc McClure’s sadly non-transforming Jimmy Olsen. When I first started writing for Rooster Illusion as a featured columnist, I argued that Tim Burton’s Batman was the an iconic blockbuster you never had to watch. In many ways Superman is tonally inconsistent and fraught with dated elements in the same ways as Batman; yet there’s a unique charm to Superman that only begins with its central hero. For all of its flagging attempts at camp and spoken word performances –in fact, maybe just fast forward there– Superman feels like essential viewing for understanding the place of comics in the movies. At once an earnest superhero adventure and winking joke on the same, Superman is still very much the blockbuster that most cape movies since have tried to emulate or respond to. But above all else, it’s a wonderful argument for Superman’s staying power, both on the screen and off of it. -As per the Wikipedia page, if you were a dude in Hollywood in the 70s, you were apparently considered for Superman. Everyone from Dustin Hoffman, to Muhammad Ali, to Arnold Schwarzenegger, to Neil Diamond was either approached for or campaigned for the role. This is EXACTLY what the general populace, and current films, seem to misunderstand about the character. I’m always reading blogs and comments about how Superman saving a cat from a tree is beneath him and/or makes him lame. The persona of Superman is much more than just about powers and physical strength… it’s also about strength of character. It’s that uniqueness that sets him apart from other superheroes. Thank you so much! I was expecting the movie to poke fun at the character more, and was pleasantly surprised.